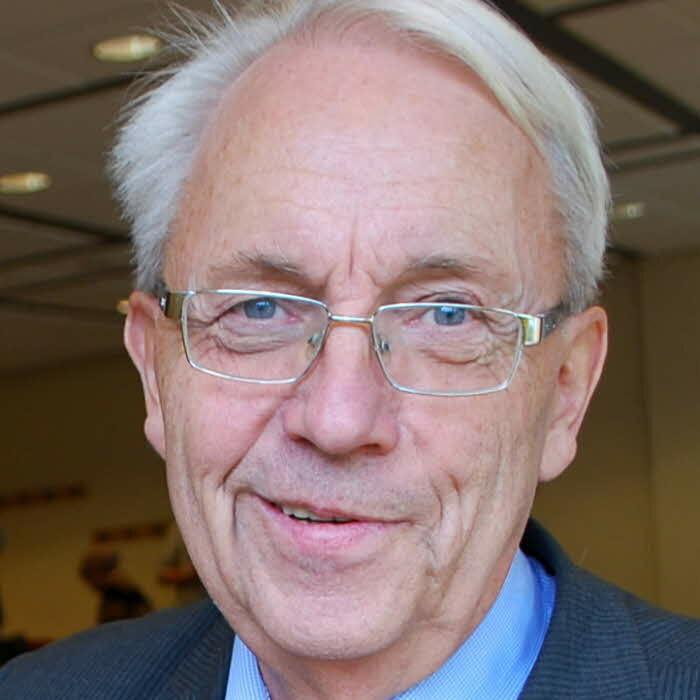 Hubert Fromlets forskningsområde är internationell ekonomi, med fokus på Östersjöregionen och de större asiatiska ekonomierna, som till exempel Kina, Indien och Japan. Tidigare arbetade Hubert Fromlet under en längre tid som chefekonom i Swedbank. Idag är han också bland annat styrelseledamot i Nationalekonomiska föreningen. Fromlet, H. (2017). China's New Economic Policy : Changing Analytical Conditions for Financial Markets and Corporations. Economic and Financial Review. 24. 3-48. Fromlet, H. (2016). Kinas nya ekonomiska politik : hur kan den integreras i en modern landanalys?. Ekonomisk Debatt. 44. 12-22. Fromlet, H. (2014). Avregleringar på finansmarknaden : kan Kina lära sig något av det svenska exemplet?. Ekonomisk Debatt. 42. 72-82. Fromlet, H. (2014). The Chinese reform process in a European perspective. Revue Bancaire et Financière. 78. 311-323. Fromlet, H. (2013). The Chinese Government Debt : What do we Know and What should be Done?. Finance India. The Quarterly Journal of Indian Institute of Finance. 27. 761-775. Fromlet, H. (2013). The Chinese Government Debt : What Do We Know and What Should be Done?. BOFIT Online. 18. Fromlet, H. (2012). Predictability of financial crises : Lessons from Sweden for other countries. Business Economics. 47. 262-272. Fromlet, H. (2011). Benefits for Asian and Global Investors from Improved Chinese Statistics. Finance India. The Quarterly Journal of Indian Institute of Finance. 25. 1189-1207. Fromlet, H. (2006). Impediments to sustainable high growth GDP in the new member countries of the European Union. Economic & Financial Computing. 16. 103-148. Fromlet, H. (2005). India versus China - Who vill be the Winner in the Long Run?. Economic & Financial Review. 12. 111-143. Fromlet, H. (2004). The Run to China: Another Example of herd Behavior?. Economic & Financial Review. 3. Fromlet, H. (2001). Behavioral Finance - Theory and Practical Application. Business Economics. july. Fischer, D., Fromlet, H. (2015). China's strive for quality of growth and growth data : challenges for economic analyses and the European/global corporate sector. Paper presented at the 17th Annual Conference on European Integration - Swedish Network for European Studies in Economics and Business (SNEE), Mölle, Sweden, May 19-22, 2015. Fromlet, H. (2009). Can China Still Learn from the European Financial Model?. . Fromlet, H. (2008). The American Subprime Crisis - Lessons for the Future in a European Perspective. .
Fromlet, H. (2008). Financial Literacy and its Benefits on a Household Corporate and Wealth Management Level. .
Fromlet, H. (2011). The Chinese Economy - 20 Burdening Conflicts of Goals. Revue Bancaire et Financière. 75. 312-317. Fromlet, H. (2010). Increased Transpaency on Chinese Financial Markets: Benefits for China, Europe and the Whole Global Economy. Fromlet, H. (2009). Reforming the International Financial System by Regulation or Collaborative Arrangements?. . Fromlet, H. (2009). The Impact of the Financial Crisis on (South) Eastern European Countries - and the Main Lessons for the Future. .
Fromlet, H. (2007). Financial Literacy and its Benefits on a Household, Corporate and Macroeconomic Level. .
Fromlet, H. (2007). Big Current Deficits in New EU Member States and South Eastern European Reforming Countries - Benign or Malign Neglect?. . Fromlet, H. (2006). Impediments to Sustainable and Good GDP Growth in New EU Countries : Discussion Paper at the 7th Annual Conference on European Integration Swedish Network for European Studies in Economics and Business (SNEE) Mölle, May 16-19, 2006. .
Fromlet, H. (2002). The Euro Moves East - Opportunities and Challanges. .
Fromlet, H. (2010). Reforming the International Financial System by Regulation and Collaborative Arrangements : Financial Markets, Economic Growth, and Lessons from History. Repositioning Europe and America for Growth : The Role of Governments and Private Actors in Key Policy Areas. Berlin, LIT Verlag. 91-99. Fromlet, H. (2007). The Run to China : and the Need of better Information and Analysis. Business Success in China. New York, Springer. 131-150. Fromlet, H. (2004). The profession of the Business Economist - Historical Experience and Future Challenges. Perspektiven der Märkte für Finanzdienstleistungen. Stuttgart, Deutcher Sparkassen Verlag. Fromlet, H. (1999). Währungsperspektiven für den Ostseeraum. Die Europäische Zentralbank : europäische Geldpolitik im Spannungsfeld zwischen Wirtschaft und Politik. Stuttgart, Deutcher Sparkassen Verlag.